Andrew Lindblom is the Director of Wealth Management at Vivaldi where he is primarily focused on the firm’s strategic initiatives of enhancing the client and adviser experience through a continuous improvement in technology, process, and education. 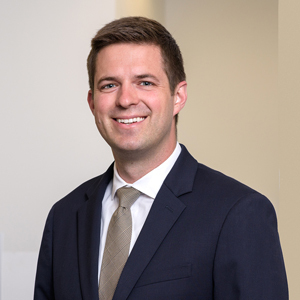 Andrew is a member of the Asset Allocation Committee where he works with advisers in determining appropriate investment strategies and overall portfolio construction for clients. Andrew previously held roles within Private Wealth Management at UBS and Morgan Stanley-Smith Barney, and began his career as an analyst at a hedge fund investing in small and micro-cap equities. Andrew is a CFA® charterholder and is a member of the CFA Institute as well as the CFA Society Chicago where he serves on two advisory groups. He was selected to participate in Schwab’s Executive Leadership Program which was designed to prepare the next generation of leaders at RIA firms. Andrew graduated from the University of Illinois at Urbana-Champaign with a Bachelor of Science in both Accountancy and Finance.